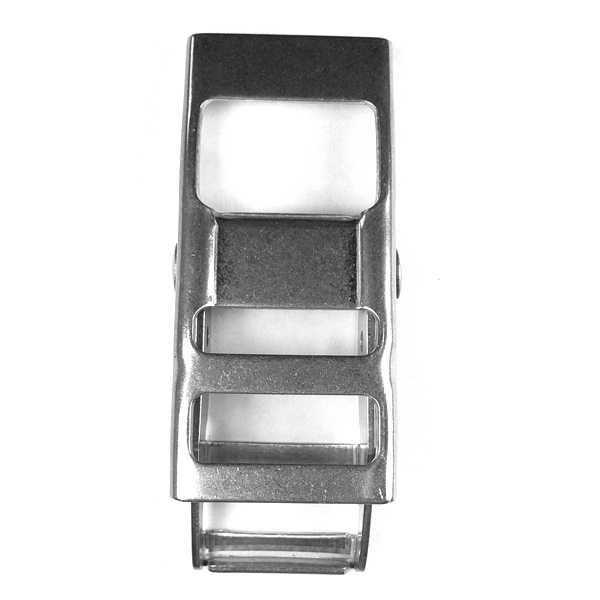 Formed stainless stell buckle to secure webbing. 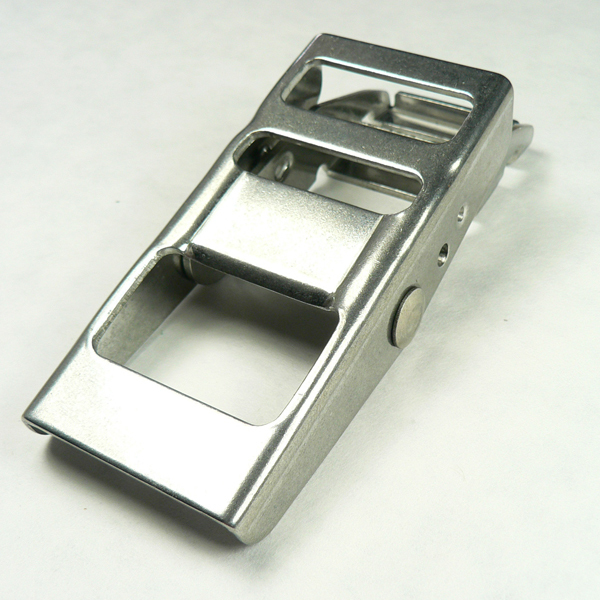 Buckle allows webbing the be threaded through and then tension is applied as buckle is "snapped" down. 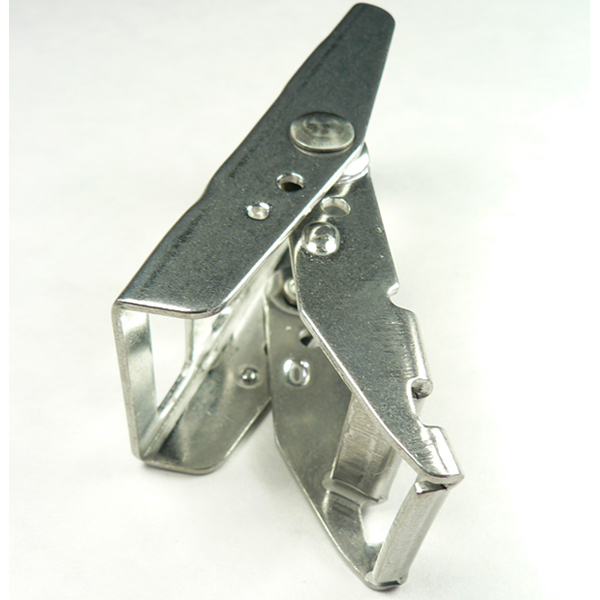 Assemblies Include clip, webbing and buckle.